I think so too they are capable of more than what they've shown thus far. Hopefully they can figure it out. We've got a highly talented point guard, and a highly talented forward who didn't play at all last season. Other than that... all transfers. The team doesn't have the same chemistry as last season, obviously. And losing Dixon really hurt. But, ya gotta think they'll be better the longer they all play together. Pressey has to quit trying to do it all. Just play w/in himself and that is more than enough w/ his ability. Last edited by Ceej; 02-09-2013 at 06:07 PM.. Reason: Wrong thread. For all the criticism he gets, he's still a hell of a player. Imagine where we'd be if he'd left with Anderson. Edit : How much better would KU be if they had Pressey right now? Their main issue is at PG. Heck ya he's a ba mofo. Just needs to dial it back a smidge. For ex if he was playing just a bit more in control Thurs that last pass airmailed to the 3rd row never would have happened. It's one thing that's correctable. Ku getting 0 from EJ right now. Less than 0. I thought he has figured it out after his play last March but that is their problem. And then of course we need to play better defense. That's the biggest culprit. This team doesn't score like last yr. They need to expend more capital on that end to be successful particularly on the road. The issue with Pressey isn't his talent, it's his decision making. He makes far too many brain farts to be as lauded as he is, and far too many of his passes are dangerous or picked off because they are timed poorly, the guy wasn't anticipating it (which is also on the receiver), or because the pass itself was too difficult. And please don't get me started on his 6% outside shooting in conference road games. Pressey ought to stick around another year. These will be his "Glory Days"
What will he (Mizzou) have to work with next year? We don't have to worry about a 5'10 PG with ball security issues, a mediocre outside shot, lazy defense, and poor ability to finish at the hole leaving early. He'll have Ross and Brown, plus three really good recruits coming in, including a PG who should be able to spell him a few minutes a game. He'll leave early to go where? Europe? That's the only destination that's possible for him. No. Chance. In. ****. that he can play in the league. None. 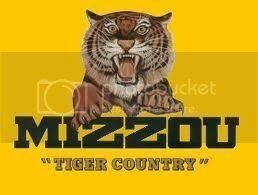 How much better would we be with KcMizzou at the point? I mean, you're not exactly clearing a high hurdle here with EJ the asswipe. Oh trust me, you'd be way, way worse.